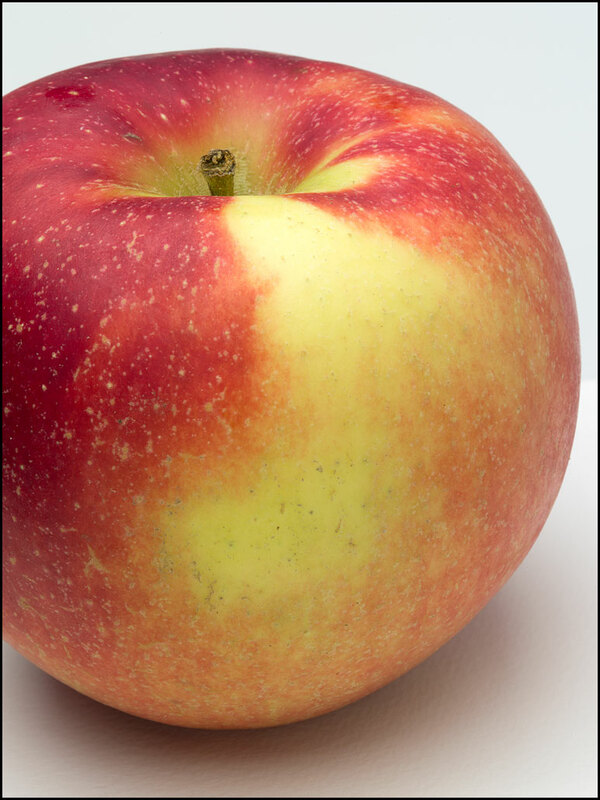 Jonagold is a 1953 variety from a cross of Jonathan and Golden Delicious. It is a pleasant desert apple with a sleight tang. The flesh is firm, but not crisp.